Midnite's short busbar is a shorter version of their terminal bus bars (TBB.) Midnite short bus bars are constructed of tin-plated aluminum, compatible with both copper and aluminum wire. 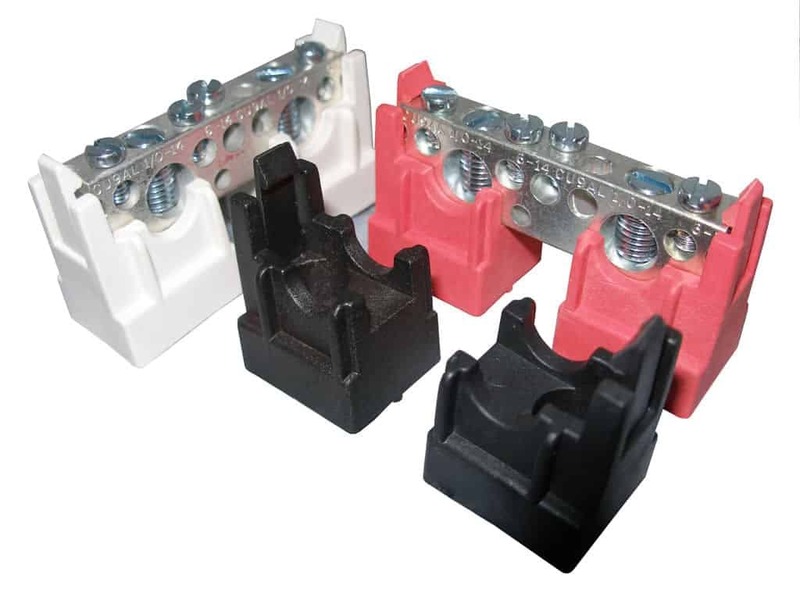 These short busbars are useful for PV+ and PV- inputs for narrow e-panels or any other enclosure where there is a need for landing a few wires but space is limited.